Are all teenagers’ lives this stressful? Ally Love lives with an airhead sister, a space cadet brother and a vibrating cat. Somehow, she’s stayed normal – so far! If you’ve not yet been swept into Ally’s whirlwind of a life, it’s time to experience all the heartache, havoc, traumas and triumphs. This bestselling series of a girl’s crazy, chaotic family life is simply chock-a-block with charm and chuckles. So don’t miss out! Experience all of Ally’s awesome adventures. Ally’s world is so cool! It has everything from single parents to sycho pigeons-literally! If you have ever wanted to live in Crouch End (don’t laugh) and experience the craziness Ally shares with her pals and HUGE, furry family-a must have! Deffo five stars! 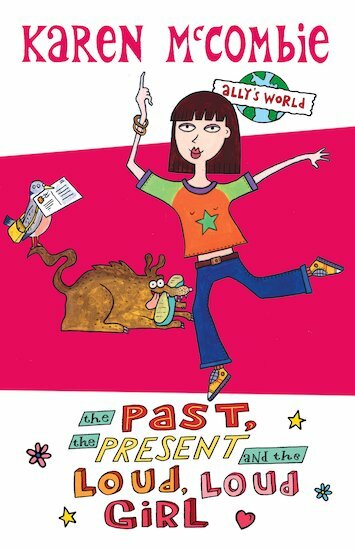 I loved all the ‘Ally’s world ‘books!